Go to Tenjin, Hakata Station, Marine Messe Fukuoka, and Fukuoka Dome without transferring. A large supermarket (open 24 hours), laundromat (24 hours), convenience store, and post office are all within a 1 to 2-minute walk. There is a large Matsumoto Kiyoshi drug store and pay parking lot nearby. Private rental of a 2-story house. You may use all rooms. You may use all rooms. # The 2nd floor has 2 bedrooms and a toilet. The 1st room is a western-style room with 1 double bed. The 2nd room is a tatami mat room with a single mattress and 3 sets of futons. Free space with a dirt floor (about 14 ) Please eat and drink in this room. Including the 1st and 2nd floors, the house is about 62 . It was formerly a stationery store. You can enjoy a comfortable and pleasant time here with your family and friends or people who you care about. 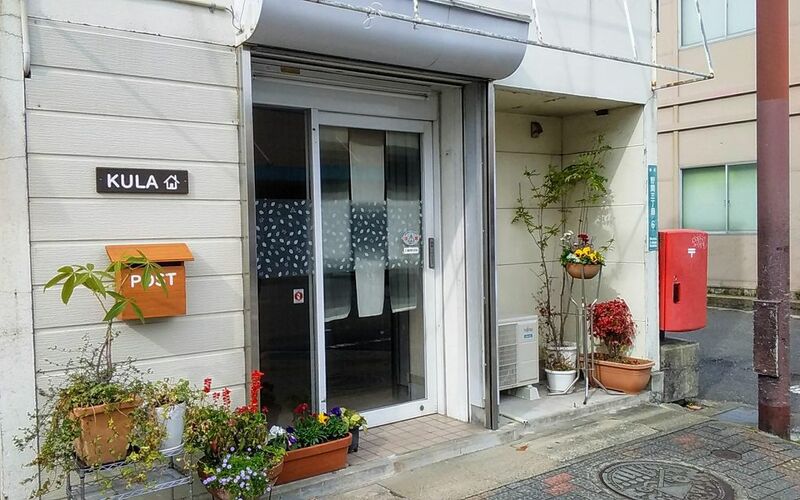 This house is equipped with everything needed for a long-term stay, so you can enjoy your stay in Japan. If there is anything else that you need, please let me know. I will do my best to assist you. There are toilets on both the 1st and 2nd floors. It is very convenient."